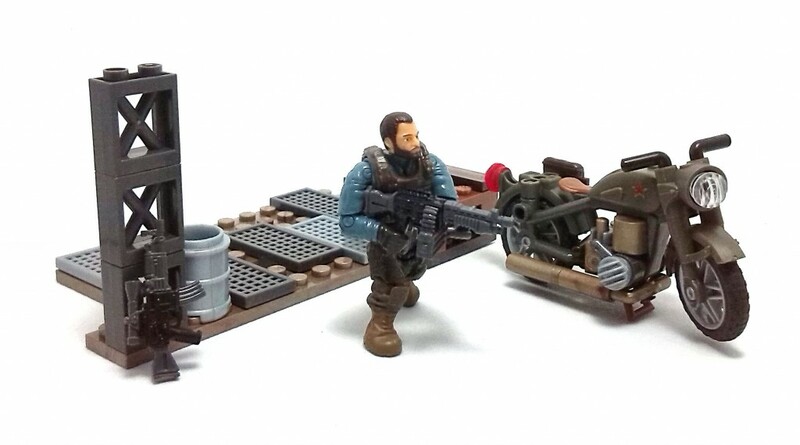 Today I’ll be reviewing another of the small sets released by Mega Bloks for their Call of Duty line. 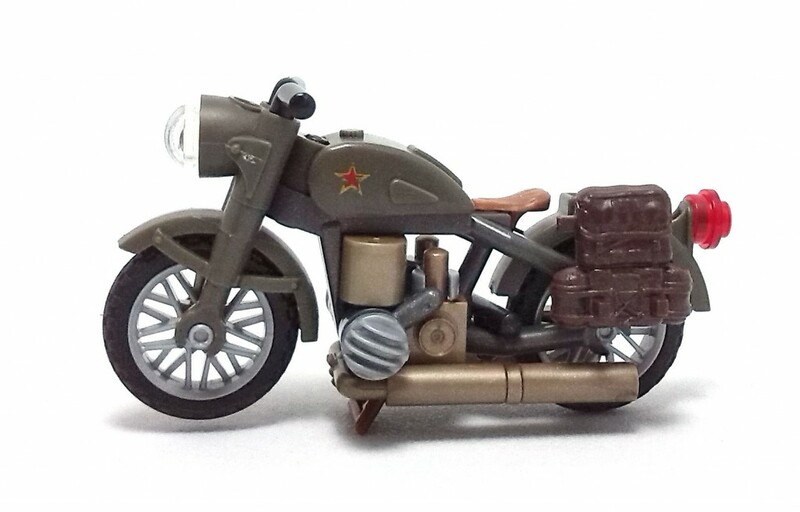 This time around is the turn of the 82 piece set #06866 Motorbike Breakout. 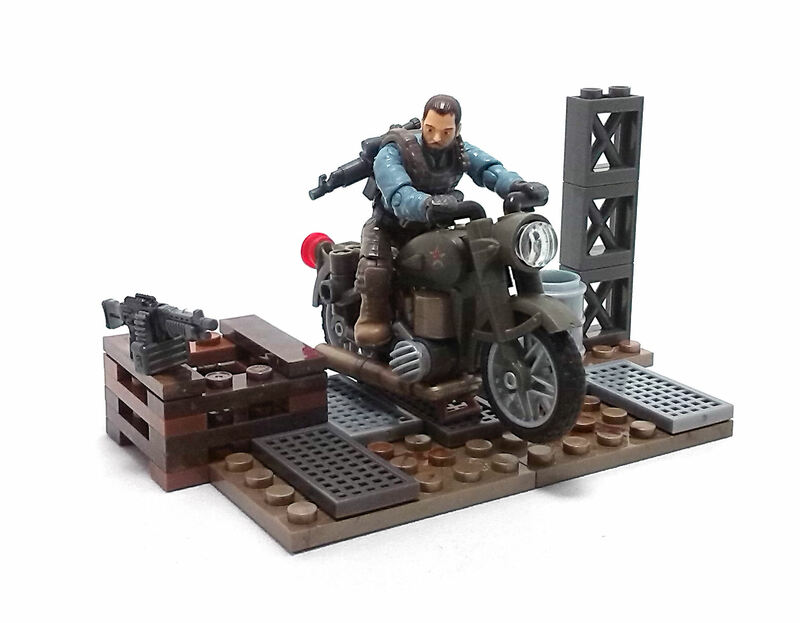 The set consists of a buildable motorcycle, a small piece of terrain and a minifigure complete with accessories. 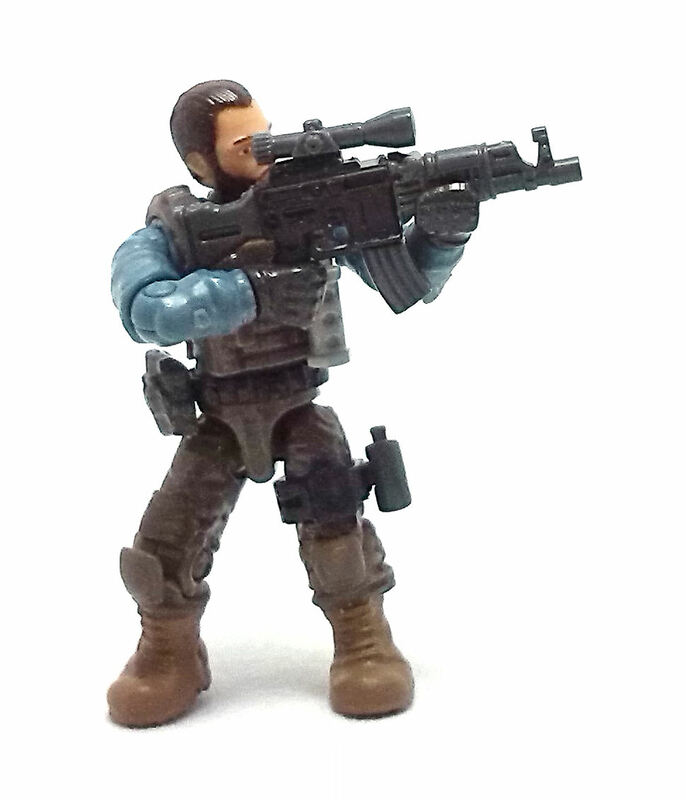 At the time this set was released, Mega Bloks was still avoiding the use of named characters in their sets (for some unexplained reason), but if you played the Call of Duty: Black Ops game, you just know this little guy is meant to be Capt. Alex Mason. 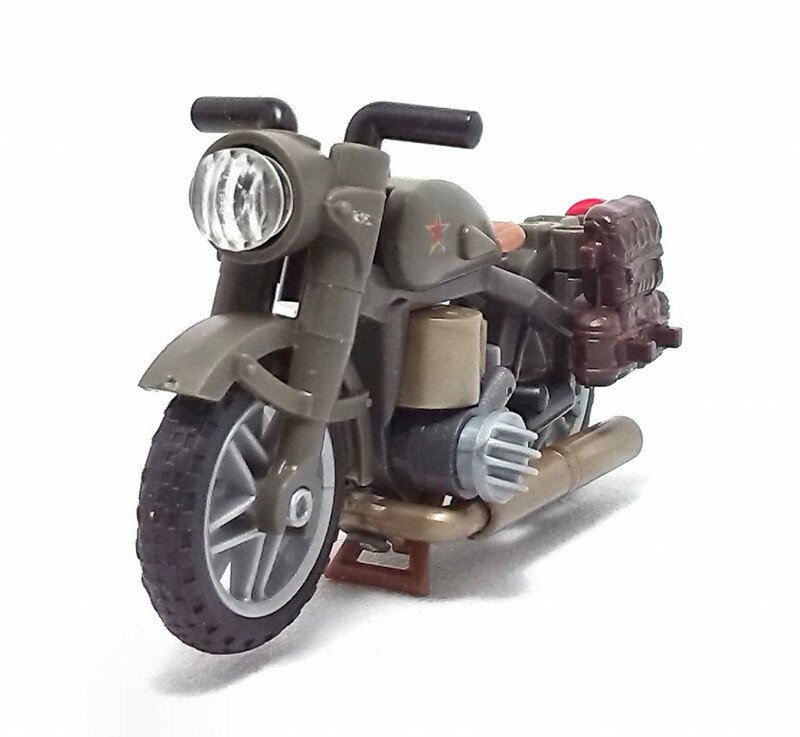 Motorbikes are always a tricky proposition when included in building block sets, because in order for them to look right, manufacturers always have to come up with very specialized pieces, like spoked wheels, tires or the chassis of the vehicles. That said, Mega Bloks still managed to find a way to incorporate a decent amount of general-purpose pieces onto their design, making for a very enjoyable build. The finished bike has nice rubber tires, adjustable handlebars, a folding kickstand and space in the back to attach some extra accessories. Speaking of accessories, Capt. 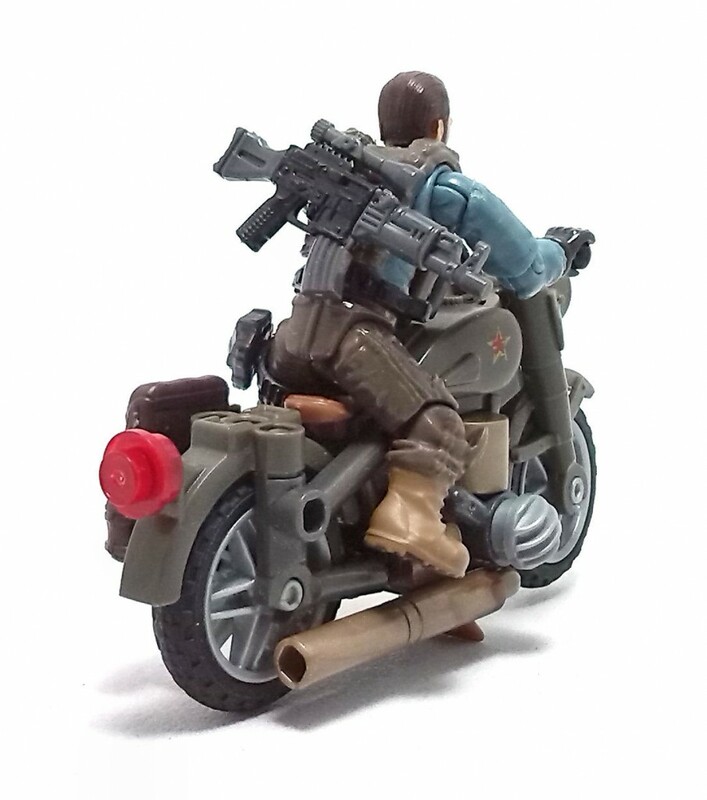 Mason here comes with a pair of modular assault rifles, a backpack and a utility vest, as well as small attachments in the form of pouches, a grenade and ammo magazines. The paint deco on this set is minimal, of course, but there are some neat details painted onto the gas tank and the deco on the minifigure head is reasonably well applied. The included piece of terrain suggests a warehouse-type environment, with grating on the floor and a cargo pallet on one side. The full piece is on the simple side, but it does provide some interesting building elements to add to a collection. 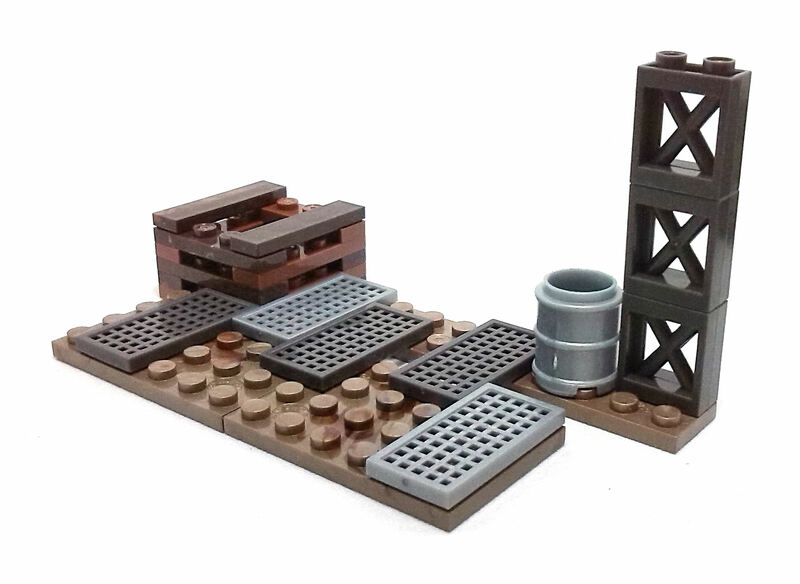 I have to say that this is one of my favorite sets from the CoD line, although the underlying reason has little to do with the features I listed. You’ll see, the coloring on the minifigure, for me, is straightforward heroic. I cannot pinpoint the exact source of this notion, but a guy with a blue shirt and khaki pants screams “adventure” to me. 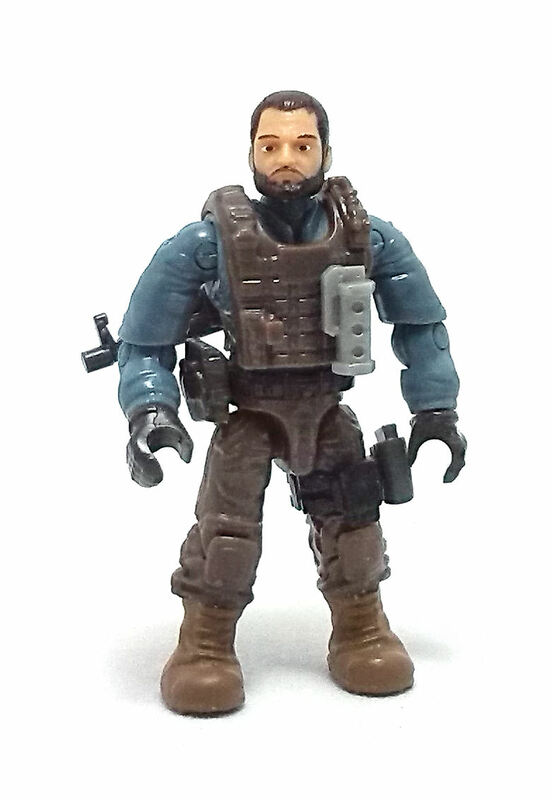 Also, with the bearded face this character looks a lot like a tiny Joe Colton, of G.I. Joe fame so, it was pretty much a given that I would buy this set.